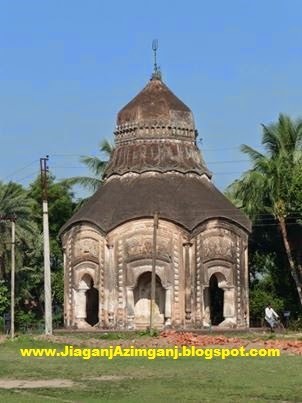 Welcome to the unofficial website of Jiaganj - Azimganj, Murshidabad. Get information about your favourite town/city from this blog. The most popular and twin town is Jiaganj-Azimganj town under Jiaganj-Azimganj Municipality of Murshidabad district. Mental Movie - World's Best Movie Site, Only for Movie Mads! 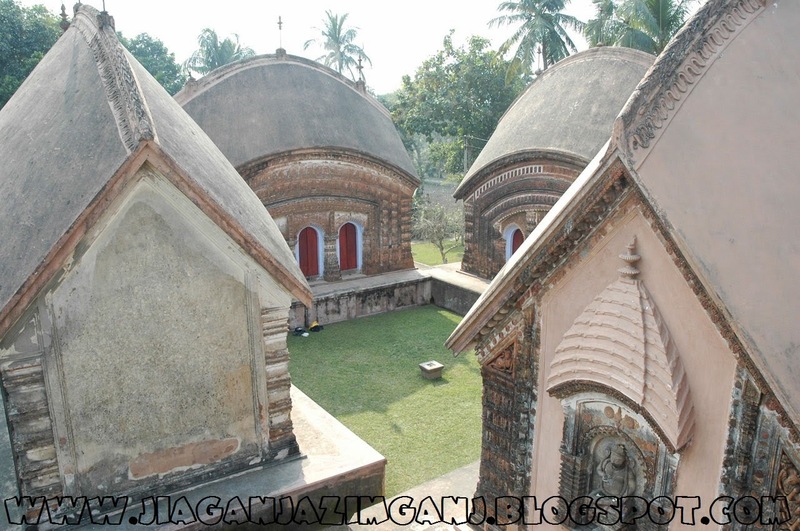 Most popular tourist spot of Azimganj Jiaganj town – Baranagar town located at Azimganj town. The people from different parts used to here for the purpose of ‘Trade’. Baranagar means ‘Big City’ or a ‘BIG AREA’ ,Bara-means ‘big’ and ‘nagar’ –means ;city with a population . But this area (Baranagar) has came in front of the world when it was known for the ‘Terracota’ works on the walls of temples. One could find here a magnificent and outstanding works of burnt clay known as Terracota. When Rani (Queen). Bhabani came in this village then from Nator (Now in Bangladesh) after her husband death leaving her everything built these wonderful creations monuments. Rani Bhabani was a pious lady and she was also a loyal follower of lord Shiva. So she constructed or patronized all the temples dedicating to lord Shiva. There were lots of temples and buildings in this vast village. But unfortunately, there are some of them left now. Most of them have been gone in the river and of course some of them have been broken down for other purposes. Which are left now in this village are under preservation. 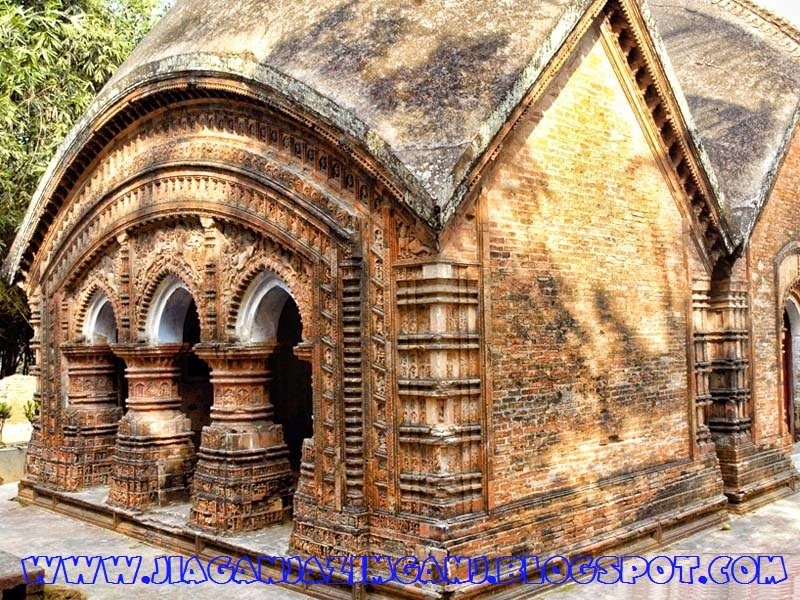 Char Bangla Temple (Maintain by Govt. of India). Bhavaniswar Temple (Maintain by Govt. of India). Gangeswar Temple (Jod Bangla) (Maintain by Govt. of India). And of course there is a building known as Rajbari where Rani used to live. Char Bangla temple was constructed in the year of 1755 almost. The name refers to Four Banglow. Char means four and bangle means Banglow. The noticeable things of this temple is observe the works on the tablets. These tell about mythological story and about daily life. You would find out about the daily life incidents to the North side temple at the down two rows. And others are about the epics’ The Ramayana’ and ‘The Mahabharata’. Unfortunately, there are also many temples which are beyond preservation. These temples are not protected, the Government should take steps immediately. Otherwise one important chapter of History is going to be missing.